Before moving to the US, Katja had enjoyed successful career in Sales and Marketing in Europe. For the past decade, Katja has owned her own business as an event and wedding vendor. After enjoying Yoga for several years Katja became a certified Yoga Teacher and she truly enjoys teaching and practicing Yoga. 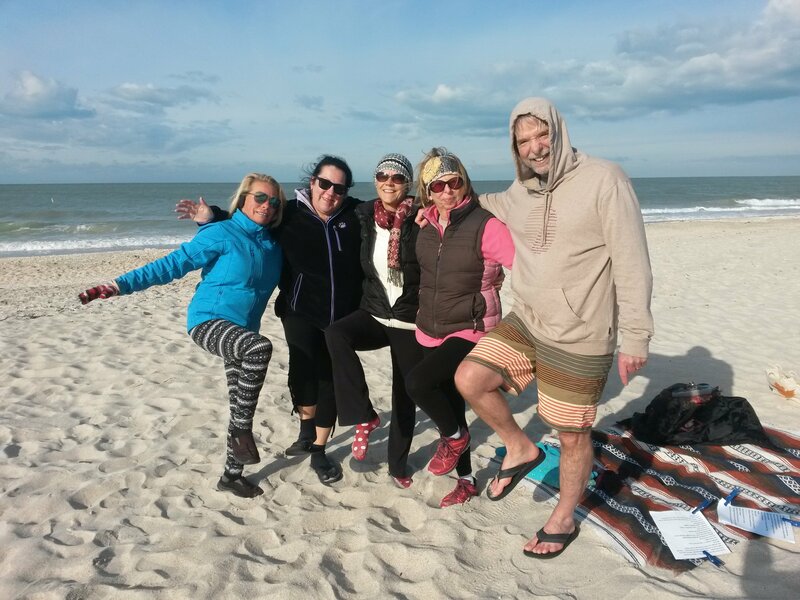 Her beach yoga classes are based on Hatha yoga and designed for all abilities and all ages. She makes it fun and social but, most of all, relaxing and strengthening. Katja finds it challenging and rewarding to teach a group of Yoga students who are in different stages of their lives, on divergent paths in their journeys into Yoga and with a wide variety of fitness levels. To see the will and effort of these students to improve and accomplish their goals, each in their own way, is extremely humbling yet gratifying. Katja is available for yoga classes and pool yoga in local communities. Besides Yoga, Katja enjoys Stand Up Paddle Boarding. She assists, her mentor and friend, Elin Larsen with group Paddle Board lessons on Venice Beach. Look close can you see what we found today inside our Yoga Circle?